The works for the Aura Foundation headquarters are completed. This project of refurbishment has transformed a former bank office into the new Aura Foundation headquarters. 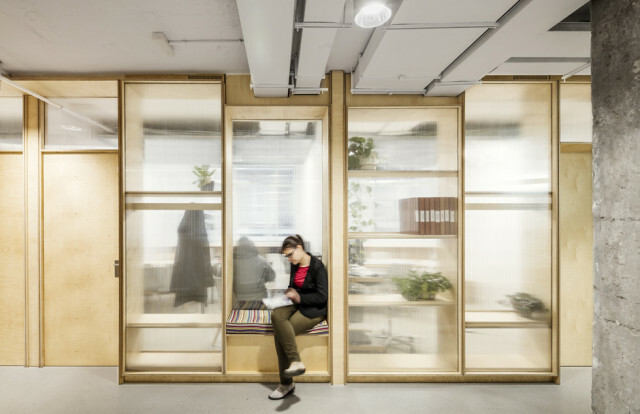 The main space is organized by a modular wall of CNC cut wood panels and poly-carbonate sheets, allowing lot of light into the interior spaces. Copyright © 2019 miba architects. All rights reserved.